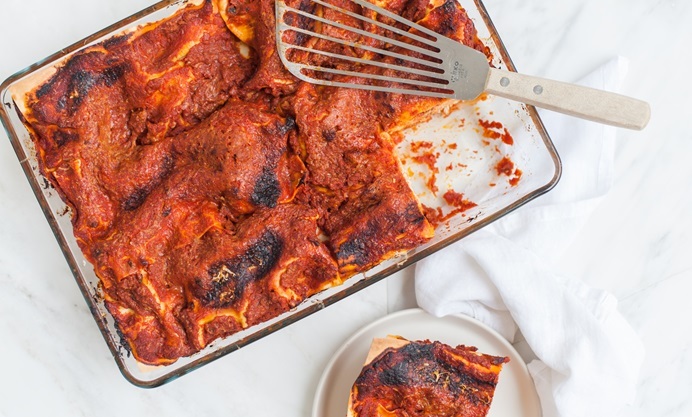 This lasagne di carnevale recipe sits in a different realm to run-of-the-mill dish that many of us are used to eating. Hailing from Naples, Campania, this festive version is eaten during carnival, when gluttony and excess are actively encouraged. As a result, this wonderfully gratuitous dish is comprised of layers of rich tomato ragù seasoned with pork, ricotta, tiny pork and veal meatballs, hard-boiled egg, salami and Caciocavallo. Better still, the ribs and sausages used to flavour the sauce can be kept aside for the next course in the feast, should you have any room left. Unlike most Italian cities, whose iconic carnival dishes tend to be fried and sweet, Naples has a carnival lasagna. Many historical and social factors have led to this exception. Suffice to say that this is an abundant and hunger-busting dish – made with pasta layered with all sorts of meaty and cheesy delights, so rich that it satiates after just a few bites, and yet so good that it lures the eater into seconds and then thirds – it is for the Neapolitans the embodiment of excess. Carnival excess, no less: the kind of excess that most, so often concerned with financial and food restrictions, could only dream of once a year, over a festivity for which guiltless, oblivious gluttony was not just contemplated, but widely encouraged. 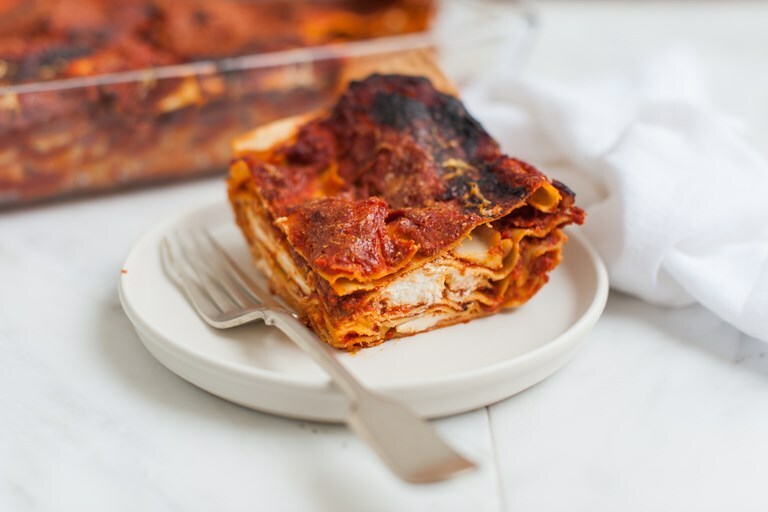 There are many differences between this Neapolitan lasagna and the most widely known lasagne emiliane. First, the pasta: not your usual fresh egg pasta but dry durum wheat pasta sheets, as they are better at sustaining the weight of the sauce. Then, the inclusion of ricotta – either from cow’s or sheep’s milk, or a mix – and caciocavallo cheese, eggs and salami. Also, the tiny meatballs, moreish and playful, made with veal and pork mince. And finally, the ragù: not the ragù alla Bolognese, of course, but a variant of the Neapolitan ragù made with just pork meat layered with the rest of the ingredients.